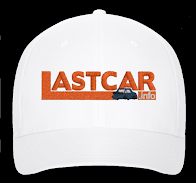 The LASTCAR Nationwide Series for 2012 continues to be the story of current LASTCAR leader Jeff Green. 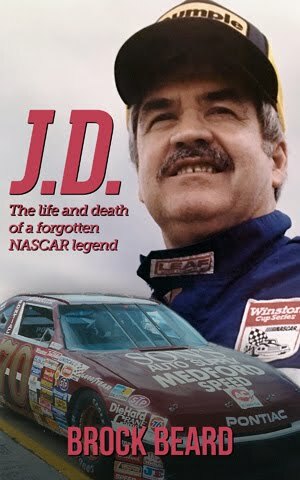 Since this site was last updated, Green has scored another four last-place finishes, and now increases the all-time record to 40 last-place finishes in NASCAR’s top three divisions. Green returned to the #10 TriStar Motorsports team in June after injured teammate Eric McClure climbed back into his #14 for the Sargento 200 at Road America. The previous week at Michigan, Green tied his best run with the team - a second-straight 17th-place finish. 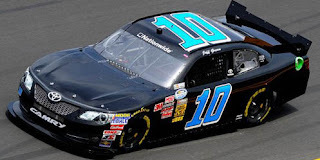 However back in the start-and-park #10, Green finished 43rd on the road course, 42nd at Kentucky after being edged by Scott Speed in The Motorsport Group’s #47, then racked up three consecutive last-place runs at Daytona, New Hampshire, and Chicagoland. It was not until this past Saturday at Indianapolis that Green was beaten. In Saturday’s Indy 250 at the Indianapolis Motor Speedway, it was again The Motorsports Group’s #47 in the final spot as Stephen Leicht pulled the #47 off the track before the race even started. The finish was Leicht’s first in his 75th series start. Green stayed out to lead Lap 18, then exited soon after the restart to come home 36th. Against the background of Green’s dominance, a few other teams made the standings. At the 5-Hour Energy 200 at the Dover International Speedway, Tony Raines took a turn in ML Motorsports’ #70 Black Cat Fireworks Chevrolet, only to become the first Nationwide Series driver to finish last because he did not start the race. The next week, during the Alliance Truck Parts 250 at the Michigan International Speedway, Mike Harmon and his #74 West Virginia Miners Baseball Chevrolet beat Kevin Lepage in the TriStar #10 by three laps to score his second last-place run of 2012, his first since Las Vegas in March. 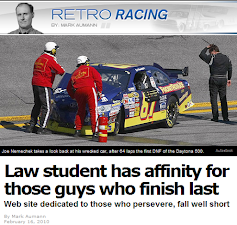 The finish was Harmon’s 13th in Nationwide Series competition, tying him with Ed Berrier for fourth-most all-time. 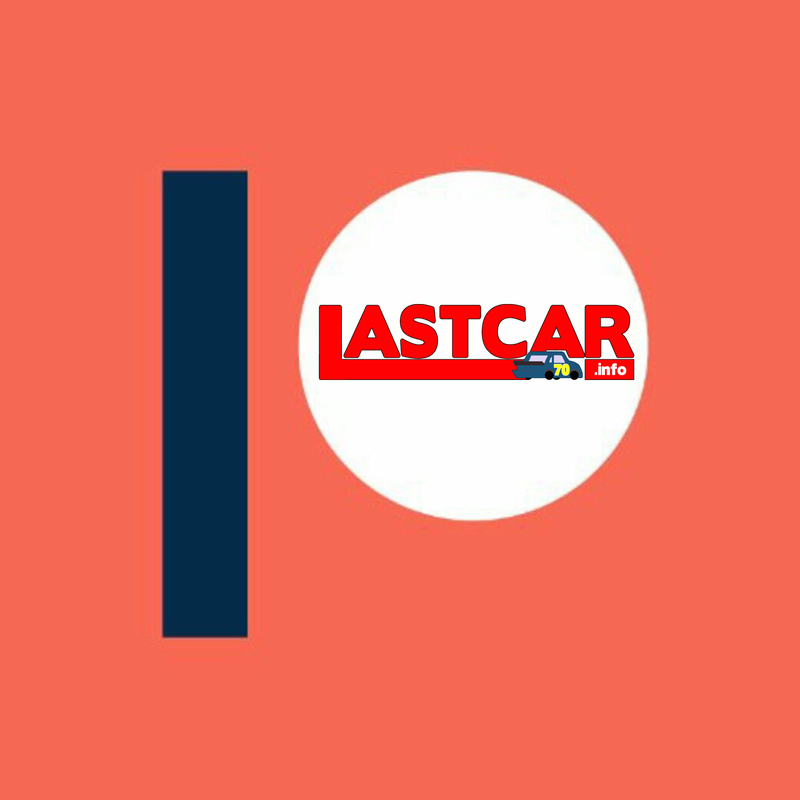 In the end, Jeff Green remains the leader by seven last-place finishes over both Harmon and Lepage, setting up for his second consecutive LASTCAR Nationwide Series title. However, the four-car team of The Motorsports Group remains a constant threat, having had at least two of its cars in the Bottom Five for the last seven consecutive races.